I have received the jersey last week and I love it! I have tested it in few rides and it served me very well. It's quite hot in Poland right now and I never felt too hot in it. Even on hard training in the forest when I got quite sweaty. The mesh under arm pit is brilliant. Whole material feels very good and the jersey presents highest quality. It is really well made. Back pockets are close to the body and I can put my phone, some snacks and few more things in there and they never fall out. I like that this jersey has additional zipper pocket co I can keep my keys and a little bit of money there. The material is close to the body and it is like my second skin. I think in my case size XL (My height is 174 cm, I weight 62 kg. My chest is 83 cm and wy waist is 71 cm. I prefer snug fit.) would be a bit more comfortable because I am hourglass shaped and it sometimes rolls up a bit sometimes in my hips. But only when I stand up and not when I sit on the bike. Another huge advantage are sleeves with elastic band. They always stay on their place and never roll up my arm. 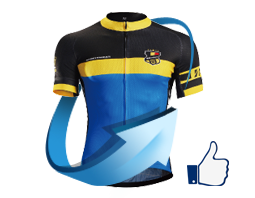 The jersey is too comfortable, it sticks to the body and fits really nice, clothing lets you feel cooled at all times. Sleeves are tight and gives you a nice looking. No complains about comfort whatsoever. Pockets are big enough to save pretty much everything you need but I would have liked it to have two more small side pockets (oblique muscle side). The back pocket’s zipper was a bit weird to me since it is a vertical zipper and sometimes when I was saving coins they tended to fall down before closing it. A key component of the jersey was the reflective pieces which increase visibility at night. Front zipper looked really cool with its Monton logo “head”. Talking of the socks, I’ve never have had those kind of socks (with half lycra clothing) and I was really impressed. They look gorgeous, so comfortable but tend to fall down a little bit. At first I really want to thank you for this opportunity. I am proud to wear the jersey. Review from my side. Firstly, I am really impressed about the colors of the jersey. 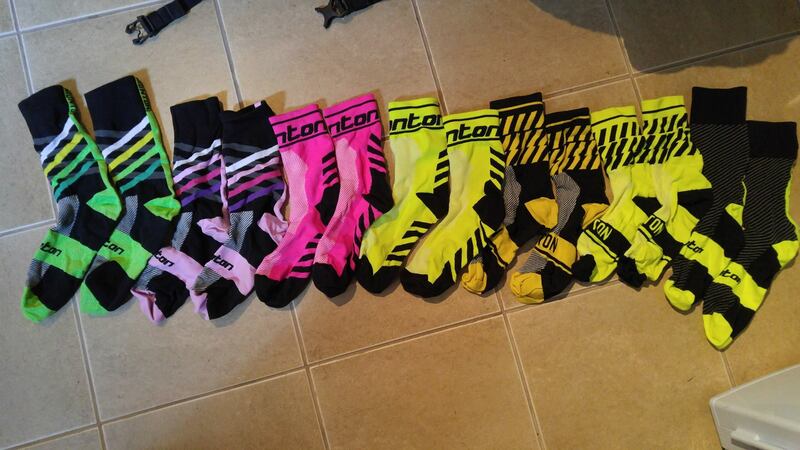 They are intens and the photo on the website really represent the real colors. I like the small details on the jersey. The hi-vis marks, the instructions on the inside (with washing instructions, the website and the composition of the jersey), the drop on the zipper and the sewn-on logos. The size of the jersey is fitting me really well. Height: 170cm Xl size. 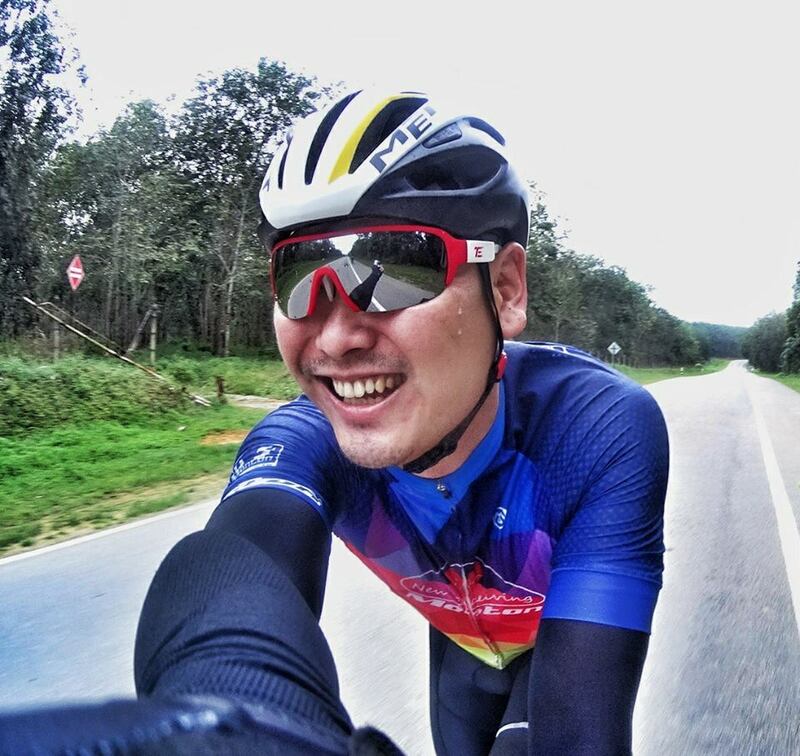 Fast shipping to France(10 days), so good quality, i choose size L for 1,69 m, 65 kgs, and 95 chest, for a winter jersey and a stop wind gilet. And i received socks as gift, so i’m si happy. Looks amazing. Lightweight and comfortable. Recommended by my friend. A little long in the back. Ventilation fabric in the back. Perfect for summer cycling. 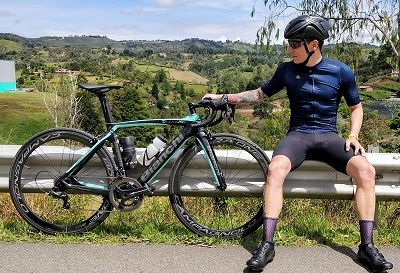 I'm venturing out a bit this year & trying out some new kits on my training rides in search of Jerseys & Bibs made of materials that will keep me cool in the extreme heat of the TX summer & have details that help improve my visibility or add functionality. 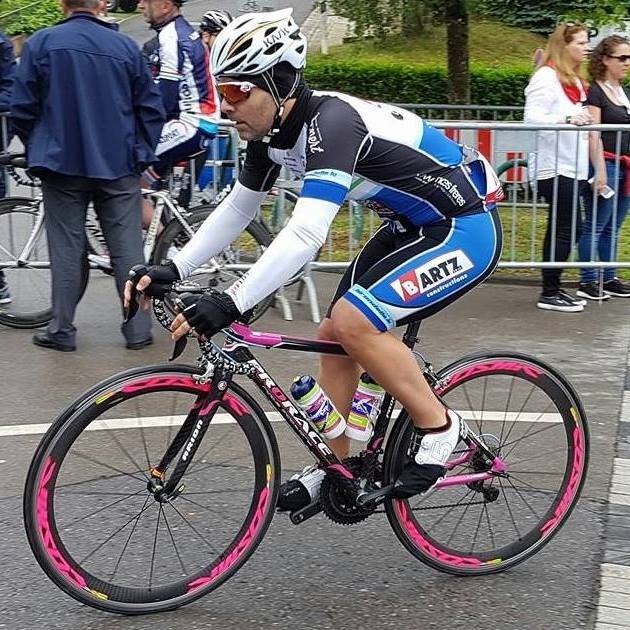 I discovered Monton Sports Official Cycling Kits last year when I guest rode for Team Asahi Muur Zero at Joe MartinStage Race and loved the fit & feel of their Jerseys, so was thrilled to find that they not only make Custom Kits for teams, but also sell individual Jerseys & Bibs! 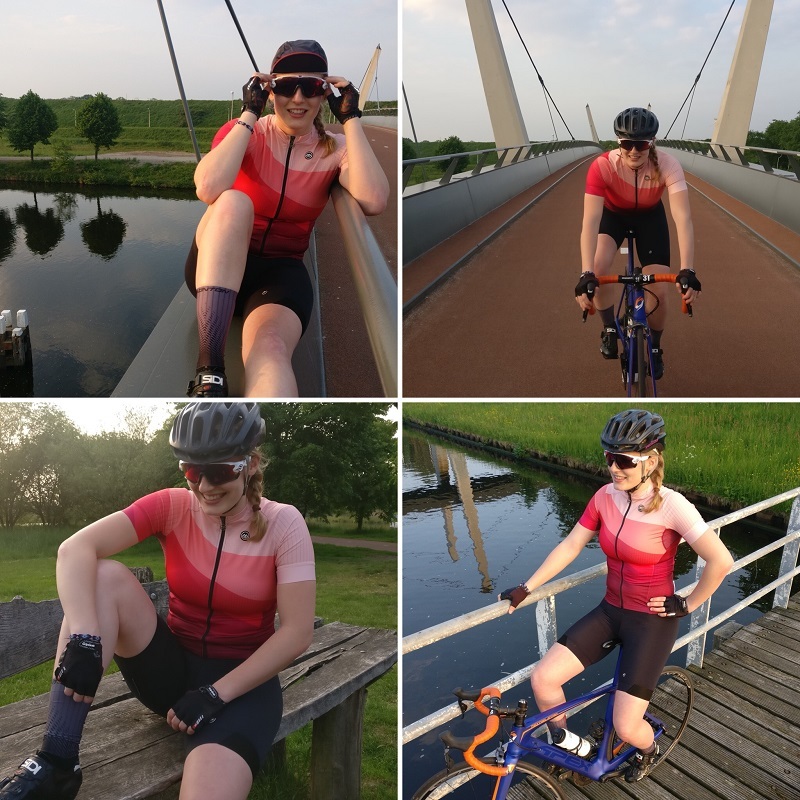 I love the slimming design of this Women's Pro Jersey, & the Persia Fabric felt silky soft against my skin while remaining extraordinarily light-weight & breathable, even when drenched in sweat. ~There is Reflective Piping under the center rear pocket which increases visibility during night rides. Wearing your stuff is really comfortable! Monton socks 7 days a week! Which pair today? 2017 LIGHTWEIGHT CYCLING JERSEY RACE B JAT III BLACK I have bought a number of Monton's jerseys and I must say this Race B Jat III tops all and won my heart. First the lightweight material is superb. While holding it, you will notice the weight. Upon wearing, you might forget that you are wearing one. Wonderful for all year summer weather in Singapore. Followed by the V-neck collar. Perfect! No more choking or discomfort around the neck area. 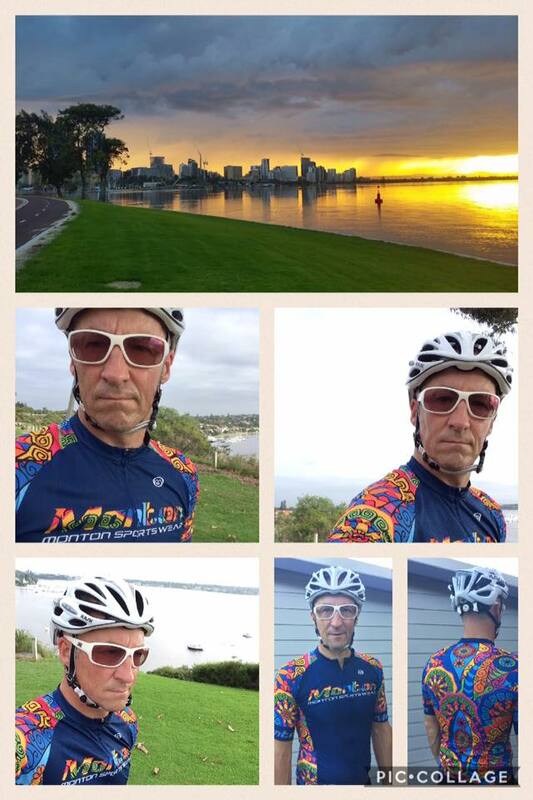 You know some jerseys, you tend to lower the zip due to discomfort during rides/breaks/stops? Not anymore! Sleeves of great length, smooth and breathable materials. Like I said earlier, you won't feel you are wearing one. Pockets size are great too as I am using an oversize smartphone (6 inches). Only thing is the missing side zip pocket. Would be good for keys but if weight is your main concern, it's good to do without. I wore this for a century ride from dawn till noon. I must say it's pretty chilling during dawn but friends who saw it commented that it gave a good quality look without touching/feeling it. Will be having it for my Bintan ride soon! Cheers! There’s no such things as “too loud” a kit if you have the legs to back it up. The Monton Tropical Passion brings some of the spark to the tarmac to make sure the peloton can see you even long after you’ve left on the break. In a world of neons, gradients and oversized logos, this kit is a breath of fresh air. Clean lines and sharp details help keep a low profile, while the vibrant modern pattern adds the perfect amount of swag. The jersey is extremely breathable and quick-wicking, making this setup one to keep in position #1 of your summer-riding rotation. I have to say your socks are amazing guys, extremely comfortable, putting pressure on the right spots and very breathable. Great sewing and holding up after 6 months of good abuse! +1 from me. My trusted jersey for long scorching hot rides in Malaysia. Won't go wrong! 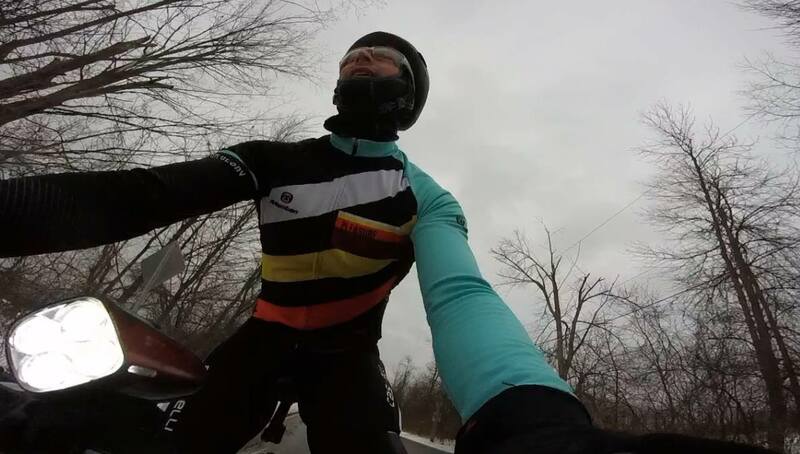 Dimension Fleece Cycling Jersey Review First impressions after a ride yesterday, temperature was 2 celcius with a bit of windchill (feel like -2). I really like this jersey. It's nice colorful and has a pretty interesting design. Finish overall is quality. The good: I wore another jersey underneath this, and it was just about right. The fit on this is pretty much spot on. I first thought I would want some additional room, but there was a lot of stretch - the side panels and inside of the arms are a slightly thinner but stretchier lycra (not fleeced). The placement of these is pretty much perfect. Allowing some moisture/ heat to escape, the rest of the arms,and front panel made of a fleeced material to keep warm against some wind chill. The waist gripper used is really nice. Just enough stretch and grip to keep in in place. I don't recall it moving during the ride, and issue that can occur with many jerseys. I really liked the choice of material and finish on the cuffs, and the arm length is perfect for me. The same material as used on the side panels, which kept it tight to allow gloves to fit over and keep the chill out. THe back pockets are a good size, I find with many jerseys it can be difficult to get things in when you are wearing the article, but there was just enough room here to get things in and out with ease. 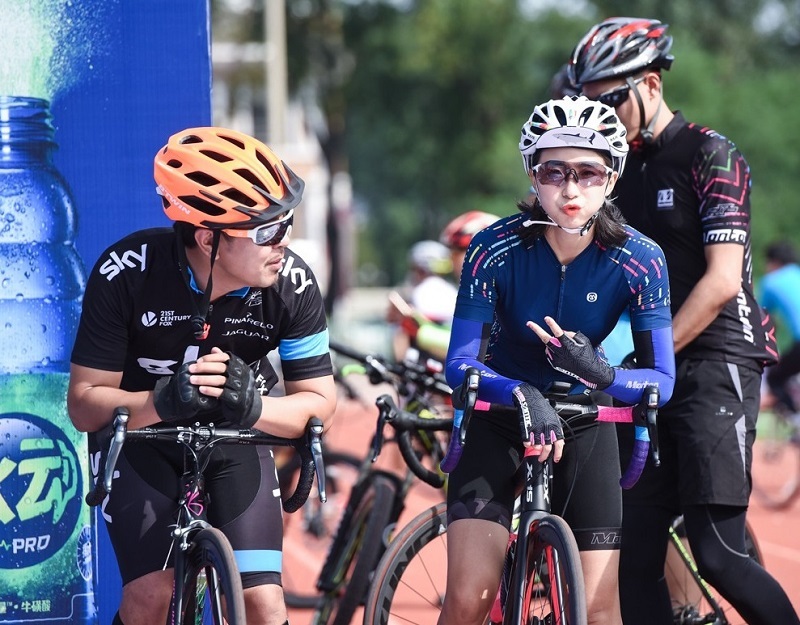 Also, they were not too high up on the jersey, which can make it a challenge to access while riding. Finally, I really like your choice of zipper with a fixed plastic piece making it easy to use when wearing gloves. The bad: My only issue was with the neck collar. For me, I would have liked this to be at least 1.5 times higher (it is a winter jersey). Also a bit snugger around the neck as well. 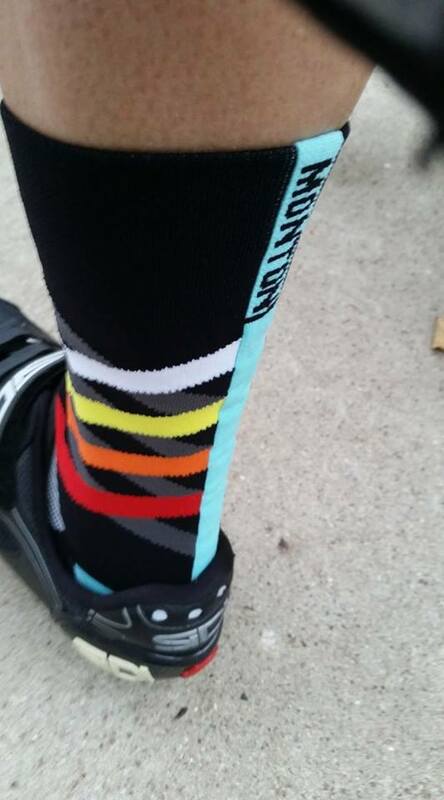 Love the socks - they just arrived and on our group ride this morning was told "you've up'd your game"! 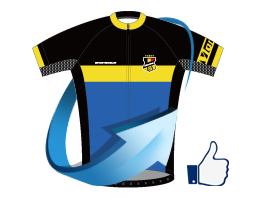 Ordered 50+ custom team kit. Must say that despite the logo issues we had, Monton has kept the professionalism and very responsive by updating customers on each progress in a timely manner. Apart from the fast turn around production timeframe, customer service was also focused and I can say that we are very happy with the overall dealings with Monton. Special thanks to Amore who has been very helpful and provided the extra miles service to keep customers happy. Even after the sales. 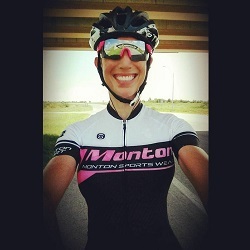 Staying cool in my new Monton Sports Official EVO jersey in this crazy TX heat! Love the breathable Grid Jacquard material used on the back & side panels, which allowed for great airflow & quick drying I'm still a hot, sweaty mess, but at least I'm not carrying 10 lbs of sweat around in my jersey! As we the cyclist species tend to love new apparel (on top of our teams :) ) I discovered the Monton brand while watching the Giro D'Italia from one of the live streams. 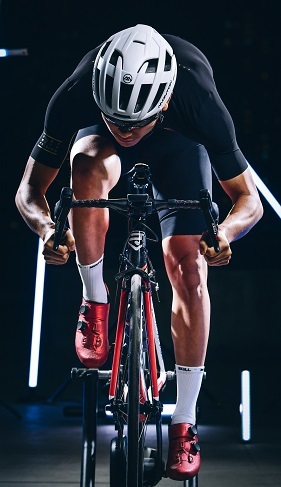 I ordered a number of PRO cut jerseys to try them out and I was blown away with the amount of innovations and different use of materials used for each section of the body (e.g. breathable mess type below the armpits). 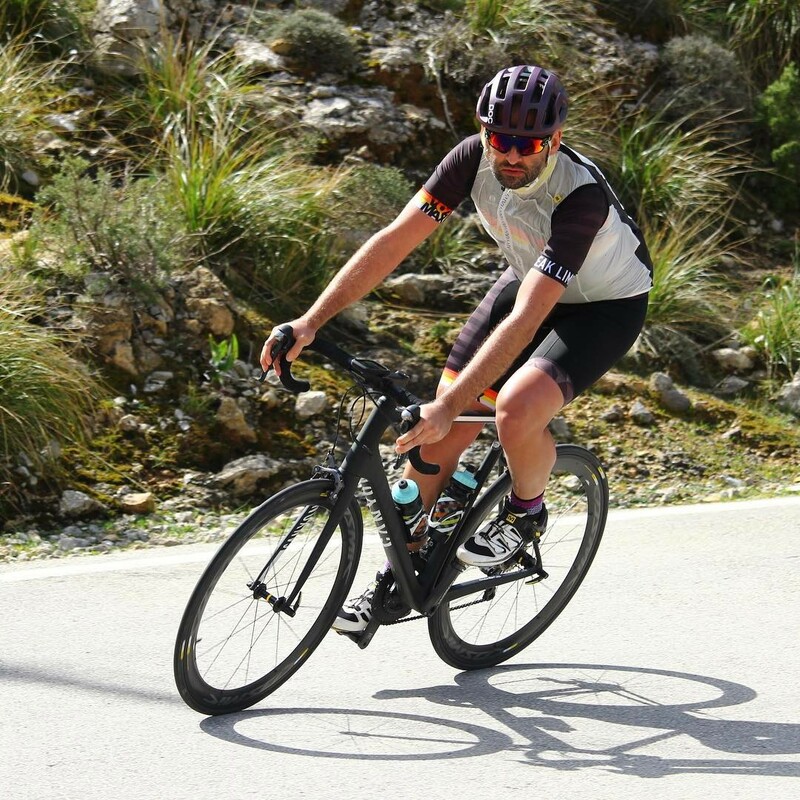 In some cases the jerseys are even UPF50+ for these hot sunny summer rides. They are extremely lightweight, aero and have an high quality zip closing mechanisms. I also tried the socks and where breathable, lightweight and with very good elastic properties so they stay put. For their design, cut and quality their price is already amazing. 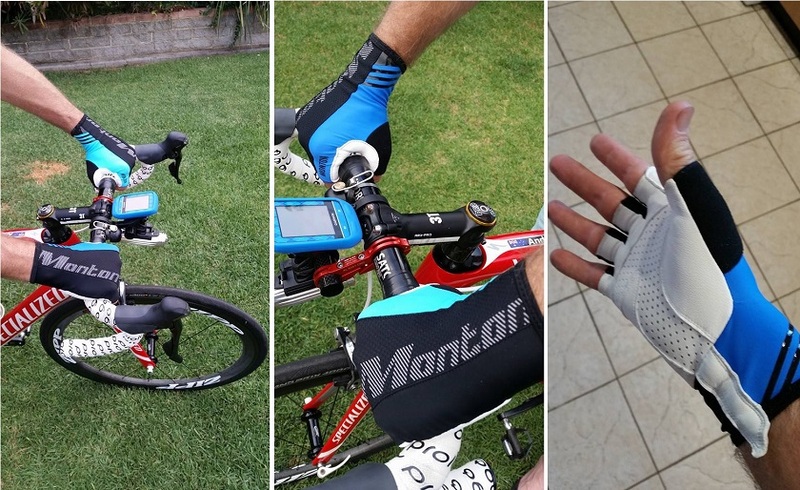 Thank you Monton, you have been a breath of fresh air to an otherwise very expensive habit to get new clothing gear. Guys these dudes know their stuff, you can be sure you will love them. The first sample arrived at school today & looks good.The sample punching pad is great. We’ll use that for the next season. 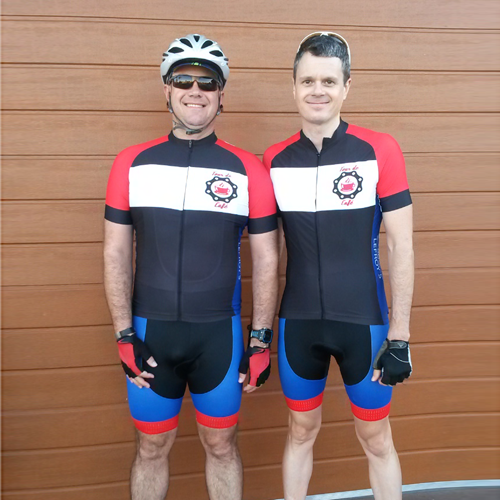 I just wanted to let you know that we received the cycling kits yesterday and they are absolutely fantastic. We are very pleased with the final product. 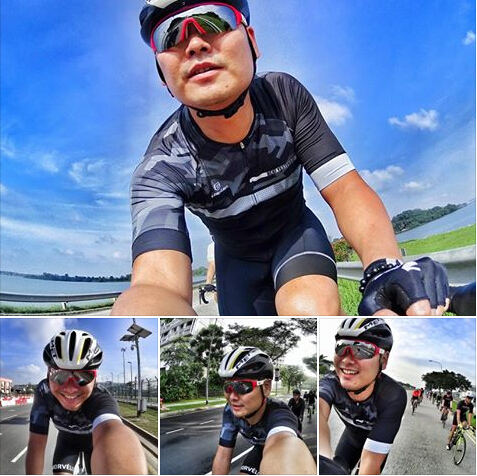 Our cycling kits are a great hit and have been worn many times already. Attached is a photo of two of the happy riders.